Product prices and availability are accurate as of 2019-04-17 17:22:24 UTC and are subject to change. Any price and availability information displayed on http://www.amazon.com/ at the time of purchase will apply to the purchase of this product. 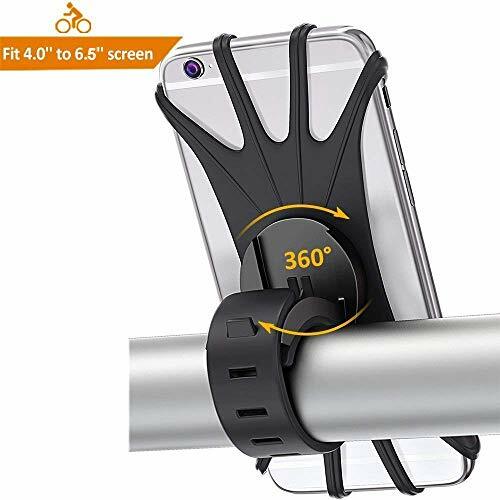 ?Simplicity, Security, 360° Rotatable : The bike mount backing is shock-proof and anti-skip design, plus stretchable rubber phone holding belt, make the mount simple but attach phone firmly to handlebar. 360° rotation design ensure you can control phone conveniently. 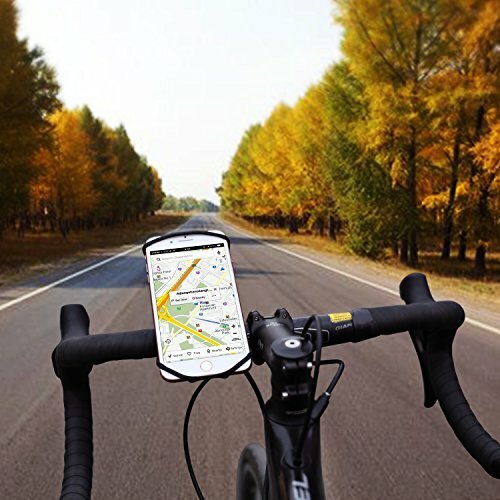 ?Compatibility: Stretchable rubber belt make the universal bicycle phone mount securely fit phones sized 4" ~ 5.8" with or without case, work good for iphone X, 8, 8plus, 7, 7plus, 6s, 6s plus, 6, 6plus, 5S, 5se, Samsung Galaxy S8, S7 edge, S6, S5, Nexus, Nokia, LG etc. ?Easy Instalation to Varisized Handlebar: No screw, no need tool, easy attach and detach in seconds. Workable on different kind of handlebar with diameter size from 3/4" to 1-1/2". 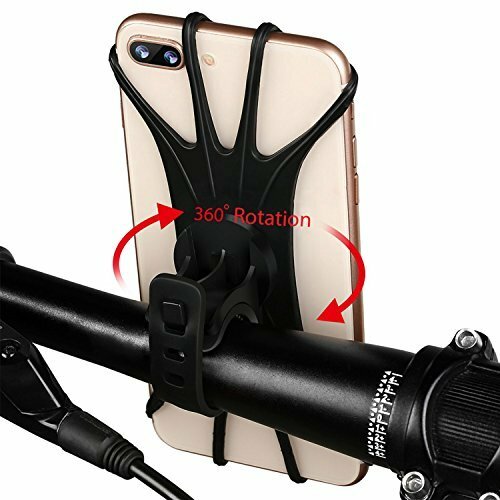 ?Versatility & Portability: The handy mount is small and light weight ( 1.5oz), wide used on bicycle, motorcycle, stroller, treadmill, shopping cart and any other place as loong as you have a round bar, you can even use it as a phone stand for movie watching. 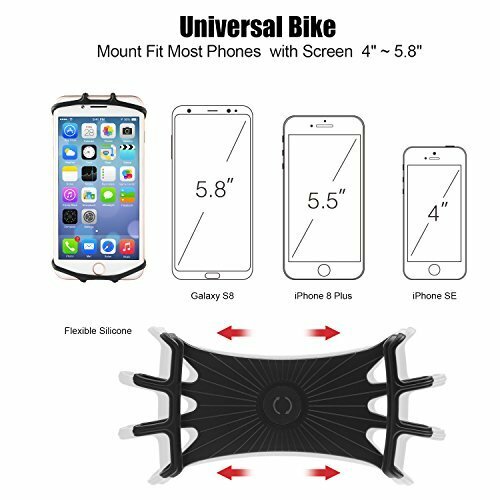 ?No Risk, Just Try: Whatever reason you don't like our bike phone holder, we will refund every penny or replace it without any question asked. Give yourself a chance to enjoy the fantastic mount.